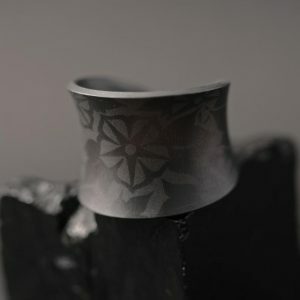 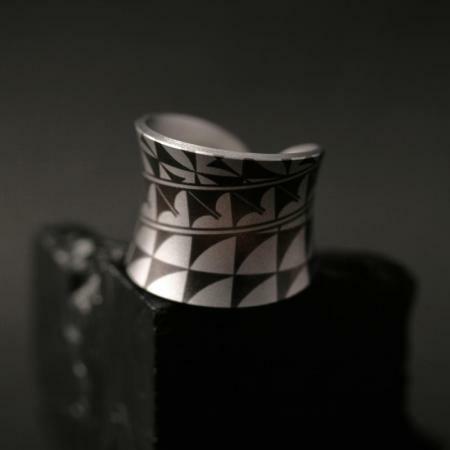 This exquisite Laguna Pueblo ring is expertly engineered in laser etched zirconium by Pat Pruitt. 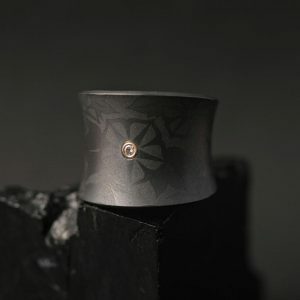 The geometric design by Marla Allison is inspired by Laguna Pueblo pottery.Super light weight and comfortable to wear this ring is available in US size 5 / UK size L.
This exquisite Laguna Pueblo ring is expertly engineered in laser etched zirconium by Pat Pruitt. 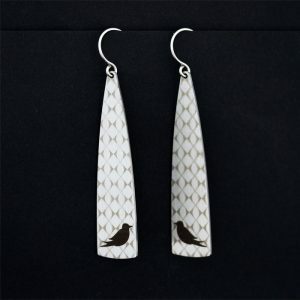 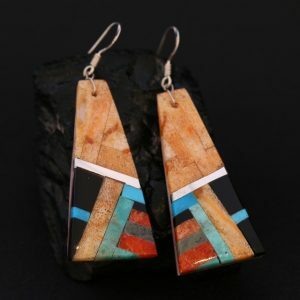 The geometric design by Marla Allison is inspired by Laguna Pueblo pottery. 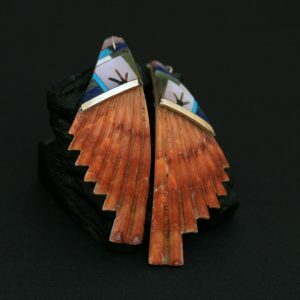 Super light weight and comfortable to wear this ring is available in US size 5 / UK size L.
Pat Pruitt and Marla Allison are celebrated artists from the Laguna Pueblo tribe in New Mexico, USA. 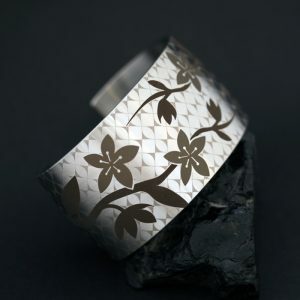 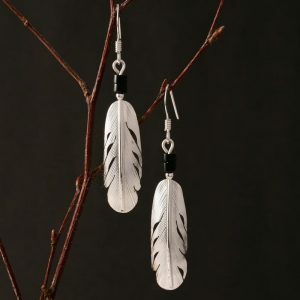 Pat Pruitt a master metalsmith won best of show at Santa Fe Indian Market in 2017 and his jewellery is on permanent display at the British Museum.